This volume is like presidential biography plus. You get President John Adams as well President John Quincy Adams. It doesn’t stop there as you will trace the family to its dissolution too. Living up to its title “America’s First Dynasty”, Richard Brookhiser gives us another of his fast-paced, brief biographies that are a joy to read. 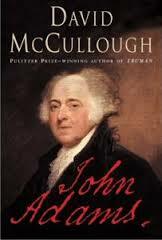 Brookhiser writes well on John Adams, though I found him to be less sympathetic than David McCullough. The political and historical side were adequately presented, but his niche is clearly familial. This family with two Presidents certainly had a cadre of failures too. John Quincy Adams was shown as the striking, successful character he was. It is interesting that John Adams had only one good son (John Q) and John Quincy in turn had only one too. It seemed to me that Brookhiser missed what made for the success in these cases: time from a father. This was clearly missing in the others who failed. The rest of the book is almost depressing. Each generation lost sons (often to alcohol) who went really bad. The last Adams was Henry and his story was one of despairing of life. He had no children and the dynasty ended, though as you read, you will see it actually ended before. This is a fine book and the succeeding generations do not, at least for me, take away any admiration for our two President Adams. 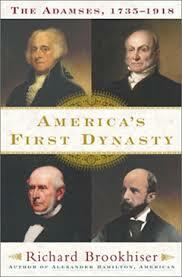 Find other titles in Presidential series here.